By Renee Huang – Something incredible happened in Utah some 300 million years ago that can only be described as mighty. In the region of southern Utah's magnificent canyon country, immense geological forces were in motion. They eventually birthed the red rock country we know today, punctuated by slickrock domed cathedrals, massive arches, hoodoos, spires and pinnacles in a landscape that can be described with hushed awe as monumental. Fast forward millions of years: the federal government created the national park system and fortuitously safeguarded five magical parcels in this region, each known for their unique brand of overwhelming beauty. More than 908,000 total acres span the protected lands in Arches, Bryce, Canyonlands, Capitol Reef and Zion national parks. One would be hard pressed to find another state in the union with a more condensed collection of treasures within such easy proximity, collectively marketed to visitors as "The Mighty 5." For the leaders of Utah Symphony | Utah Opera, being inspired by Utah's stunning natural beauty is part of the cultural identity of the organization. Music is ethereal, as is nature, and that same incomparable beauty can be seen in Utah's 84,916 square miles, where there exists a vast diversity of landscape – from canyons to slickrock, lush forests, jutting mountain ranges, and high alpine lakes. It made perfect sense to pair the universal message of music – which transcends all boundaries and languages – with the largest non-profit performing arts organization in the state to present Utah's unforgettable landscape to visitors. Better yet – why not create the ultimate opportunity which presented live classical music experiences with "The Mighty 5" to showcase the best of both worlds? The initial seed for The Mighty 5 Tour began to take root in the spring of 2013. Since then, the project has blossomed and taken on a life of its own. David Green, senior vice president and COO for Utah Symphony | Utah Opera, compared the concept with joining of two of Utah's greatest treasures – the landscape and exceptional music. "Pairing some of the most stunning beauty in Utah with the flagship of our state's music arts organizations will be one of the most unique and most important projects we have planned in the past 20 plus years", explained Green. "We often get the opportunity to tour these special locations for our education outreach programs which reach the entire state. But The Mighty 5 Tour will be a chance to serve the communities that support the parks and the symphony in a different way. I see it bringing tourism together with our communities – the lucky ones that are able to see one of these events may have a once-in-a-lifetime experience." As cultural ambassadors for the state, the symphony, smaller chamber ensembles, and opera soloists will present a series of unforgettable free outdoor concerts under the baton of Utah Symphony Music Director Thierry Fischer near each of Utah's iconic national parks to create one epic experience of a lifetime. "Utah is an amazing place to live and to visit, and Utah Symphony | Utah Opera is able to attract some of the best musicians, artists, and staff because of the variety of outdoor activities possible and great natural beauty of our state," explained Utah Symphony | Utah Opera President and CEO Melia Tourangeau. The fact that the organization is approaching its 75th anniversary celebration in the coming year makes a big, outside-the-box tour all the more exciting. "Collaborating with Utah's National Parks and the state's Mighty 5 promotion through our Mighty 5 Tour allows us to jointly celebrate the natural and artistic treasures of Utah. We hope that hearing exceptional music in these outstanding landscapes will demonstrate why a thriving performing arts community is an integral part of what makes Utah great." Nowhere else in the country does such diverse geological landscape exist. Southern Utah truly feels like the Wild West. The national parks share a similar look of stunning red rock topography. However each of them has their own distinct brand of uniqueness. Beginning in the sleepy town of Teasdale on the outskirts of Capitol Reef National Park, Utah Symphony | Utah Opera will kick off the first of four free Mighty 5 Tour open air concerts that connect the orchestra with the small communities that weave together the southern part of the state. Capitol Reef's most striking feature is the massive Waterpocket Fold, a 100 mile warp in the earth's crust, a classic monocline. Cathedral Valley, in the remote northeast corner of the park, features massive Entrada sandstone monoliths. 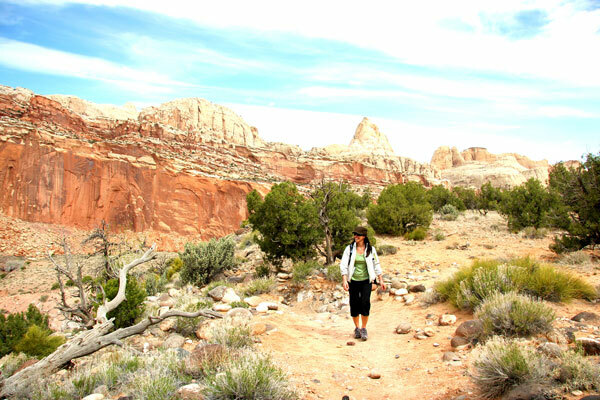 Next, the symphony heads to Red Cliffs Lodge near Moab. The Lodge and Castle Creek Winery sit on the banks of the Colorado River opposite Arches National Park, where they play against a backdrop of brilliant fiery rock escarpments that jut into the heavens. Unusual stone arches, windows and pedestals caused by erosion characterize the unique landscape of Arches. Thirty miles away lies huge Canyonlands National Park, a colorful wilderness with impressive red-rock canyons and spires. 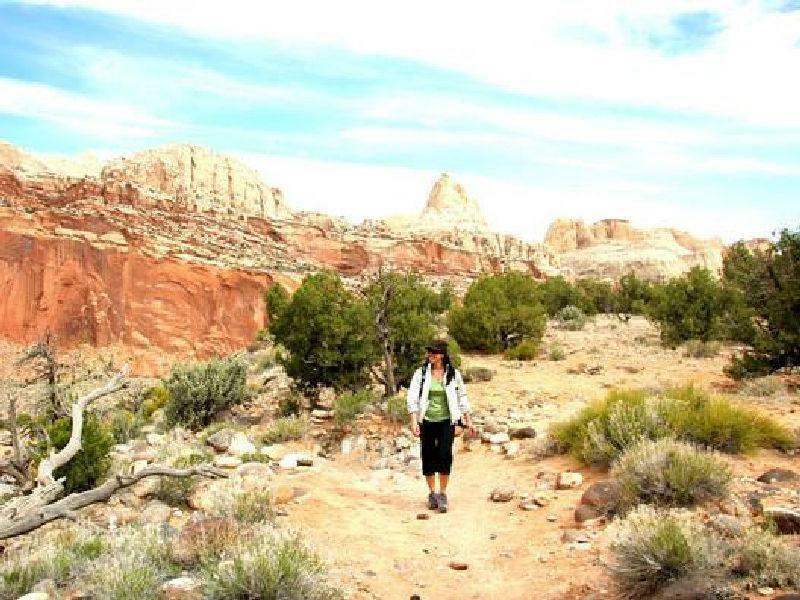 Carved by the Colorado and Green rivers, Canyonlands is backcounty personified. 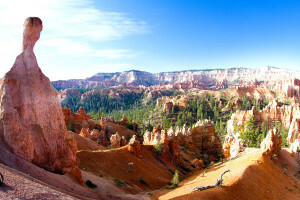 An open meadow adjacent to the border of Bryce National Park will serve as the third concert location, just steps from the surrealistic, brilliantly colored eroded rocks called hoodoos for which the park is known. And the final concert is at the magnificent outdoor OC Tanner Amphitheater in Springdale outside Zion National Park's enormous stone monoliths and multicolored gorges. These open air evening concerts will be supplemented with opportunities to explore the parks and embark upon outdoor activities during the day with Utah Symphony musicians. Unique one-of-a-kind musical experiences will bring visitors face-to-face with chamber orchestra players in unexpected natural settings of southern Utah's wilderness. Imagine the sublime wonder of listening to a string quartet weave together music in the shadow of a natural slickrock amphitheater. Or picture the sheer exhilaration of witnessing a soloist unfurl an ode to the wind atop a rocky clifftop under the blue expanse of open sky. It's this type of experience Utah Symphony | Utah Opera endeavors to create with the Mighty 5 Tour. In conversations with the state tourism officials, it became clear that the overall goal of both organizations was the same: to showcase Utah's unique cultural attributes in a way that creates an experience unlike any other. 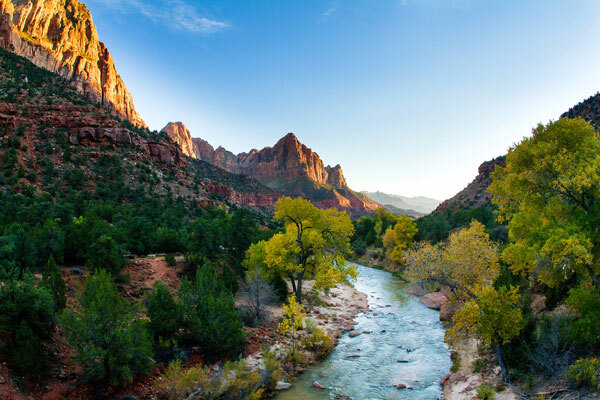 "We are so pleased to be partnering with Utah Symphony | Utah Opera to showcase the best of Utah's Mighty 5 National Parks and arts and culture," said Vicki Varela, Managing Director of the Utah Office of Tourism, Film & Global Branding. "I cannot imagine a better way to experience the beauty and grandeur of our parks. This will truly be a life elevating experience." In many ways, the Mighty 5 Tour represents yet another opportunity for Utah Symphony | Utah Opera to connect great live musical experiences as the "people's orchestra" with the many communities in southern Utah. A little known fact about the organization is that it presents free concerts and musical programming to 155,000 school aged children across Utah each year through partial state funding and a department devoted to classical music education. The goal of the educational programs is to introduce a love for classical music to children throughout the state, and break down the barriers preventing access to live performing arts. The Mighty 5 Tour repertoire was hand-picked to be just as accessible, with George Gershwin's An American in Paris and classical favorites including Festive Overture by Dmitri Shostakovich. Internationally acclaimed Utahan soprano Celena Shafer will be a featured vocal soloist. Said Music Director Thierry Fischer: "The Mighty 5 Tour is a great opportunity to combine two kinds of beauty: nature and sound. Here in Utah we have the unique and wonderful fortune of being surrounded by five amazing national parks, and with this tour we plan to celebrate by mixing all the elements of nature with beautiful sounds." Thierry Fischer is no stranger to outdoor recreation experiences in southern Utah. An avid skier and mountaineer in his native Switzerland, Maestro Fischer is also a master of adventure. Outdoor Utah had the pleasure of introducing Fischer and his wife Catherine, along with Dave Green, COO of Utah Symphony | Utah Opera to the exciting sport of canyoneering. The Mighty Five Tour will also include some of the most outstanding outdoor adventures in and around the national parks. Guided hikes, river running, canyoneering, horseback rides are on the agenda in conjunction with the performances.